The U.K. is a mess. That may be good for investors. Are you tired of hearing about Brexit? Well, get in line. Over the last year, the U.K.’s European Union debacle has taken several ridiculous twists and turns. I won’t attempt to list everything that’s happened, as it’s been one of the more confusing political events in history, but as of right now it’s still unclear if there will be a deal in place when Britain leaves the EU on October 31—its departure has been delayed yet again—and who will be Prime Minister when it happens. It appears increasingly likely that Theresa May will be ousted before the new deadline passes. As difficult as this Coronation Street-like saga may be to follow, it has real implications, not just for Britons and companies headquartered there, but for investors who either own U.K. equities or are wondering if all this turmoil presents an opportunity. Not surprisingly, the FTSE 100’s stock chart looks like a Disney World roller coaster ride. Over the last 12 months, the index has gone up, plummeted down and then risen again. It’s up 10% year-to-date, according to S&P Capital IQ, which isn’t too shabby considering how uncertain the country’s future remains. Still, the index is dirt cheap, as are many companies on it—at least compared with other developed markets. It’s trading at 11 times current price-to-earnings, according to CEIC Data, which is well below the 21 times earnings that S&P 500 is trading at. Investors can find also find several businesses at rock bottom ratios. According to Topstocktable.com, global companies such as insurance company Aviva and advertising conglomerate WPP are trading at 8.1 and 7.6 times, respectively, though other names, such as Unilever and HSBC are trading at 22.7 and 18.5 times. The question many investors are asking themselves is whether U.K. stocks can rise again or whether they’ve become a value trap, which is when people buy into a cheap stock only to have it further fall in price. It’s tricky because you want to stay away from value traps, but it’s hard to know how an inexpensive stock will perform. It can take years for a value company to climb in price – value investors are generally extraordinarily patient people – so you have to have a good thesis as to why the company could one day rise in value. Brexit makes things even more complicated. It’s such an unprecedented situation that it’s difficult to know if Britain’s economy will take the massive hit that many people expect or if it’ll do just fine as others suggest. One thing most experts agree on, though, is that a no-deal Brexit will be bad for stocks. Having no road-map for the pullout and no new trade agreements in place will certainly be bad for business. 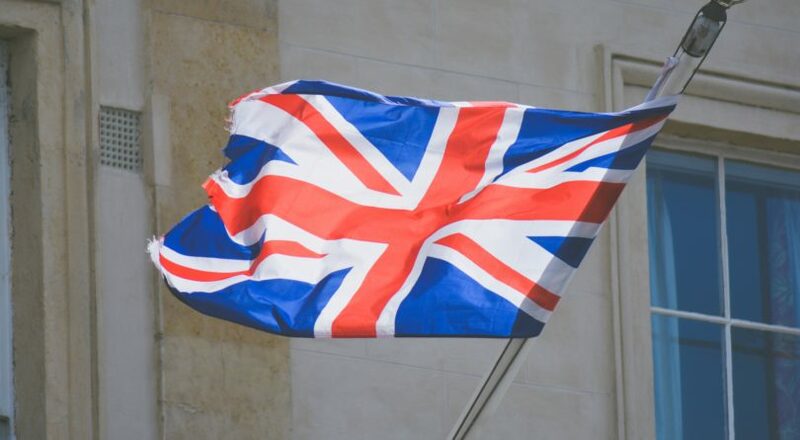 An April 4 note from Morgan Stanley said that if a deal gets done, the MSCI U.K. will outperform its global peers by about 8%, while the FTSE 250 will outperform the FTSE 100 by about 12 percent. If no deal gets done, the FTSE 100 will drop by 8 percent, while the FTSE 250 will underperform the FTSE 100 by up to 15%. When it comes down to it, investors need to figure out if the U.K. can survive Brexit. If it can, then these value plays should rise again, though when is still up for debate. If companies start abandoning ship or its economy struggles—the IMF says U.K. GDP will grow at 1.5% in 2019, but only if a deal gets done—then equities will likely fall again. In any case, prepare for an up and down ride. One strategy that many managers suggest is to buy U.K. businesses that have international exposure, such as HSBC, Diageo, Unilever or Prudential. While these stocks are trading at higher PE multiples than the British companies that have more domestic exposure, they should be able to generate strong earnings even if no-deal occurs and could rise in value, along with the rest of the U.K. market, if a deal gets done. While you wouldn’t want to invest too much in the U.K. anyway—it makes up just 5.2% of the MSCI All-Country World Index—with the index trading at such low levels, putting some money into the market in the hopes that these value stocks rebound could make some sense, especially as other developed markets trade at historically high levels. However, with the country’s own politicians struggling to make sense of Brexit, it will be even harder for investors to figure out how this soap opera might end.